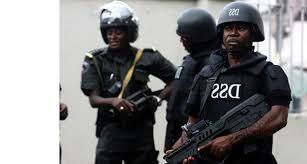 Operatives of the Department of State Services and men of the Nigeria Police have laid siege to the Abuja homes of President of the Senate, Bukola Saraki; and Deputy Senate President, Ike Ekweremadu. The security operatives arrived at the homes in the early hours of Tuesday. Those at Saraki’s Maitama residence, however, left around 7:30am when the Senate President was said to have left the premises. The operatives, however, are still at the Apo residence of Ekweremadu.